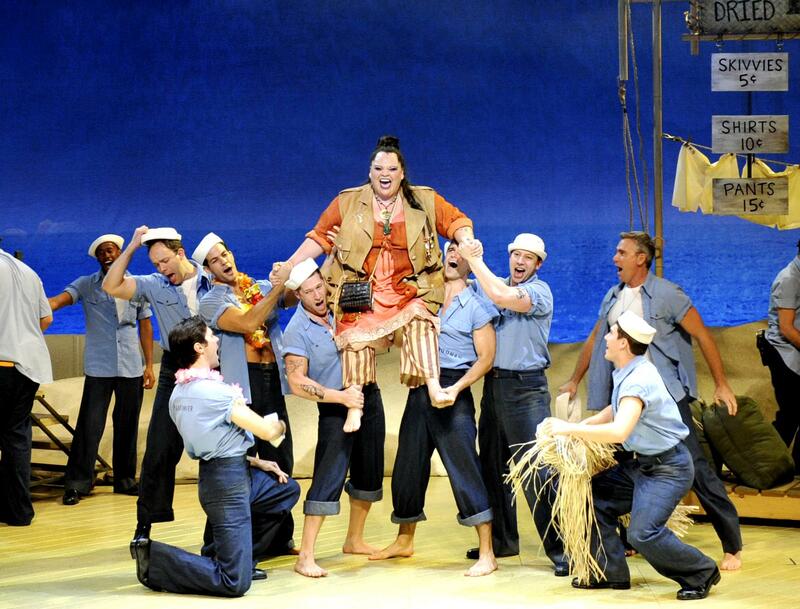 “SOUTH PACIFIC” MINI-REVIEW | Aaron Harber "Unplugged"
← SCOTT MCINNIS — 2006 REDUX? The national touring production of Rodgers & Hammerstein’s “South Pacific” — based on James Michener’s “Tales of The South Pacific” — effectively brings the islands alive and quickly takes you back more than half a century. Within minutes of the curtain’s ascension, you believe you are in another place and time. And for those fortunate enough to have treaded the sands of Kauai, where the film version was shot, the staging makes the production even more poignant. The story remains as entertaining as it was when it debuted decades ago and the conflicting themes of war, love, honor, and family are vividly displayed. However, it is how racism is so candidly, albeit transitorily, addressed which separates this production from so many others. Even the contrasting May-December romances force the audience to confront issues which remain relevant today. The 25-member orchestra adds a richness to the music which audiences appreciate but the voice of David Pittsinger (“Emile de Becque”) alone is worth the price of admission. And Carmen Cusack’s “Nellie Forbush” dominates the production with the combination of her voice, acting, humor, and great looks. With serious topics interwoven with dominantly humorous themes, “South Pacific” is great entertainment. See more at http://www.SouthPacificOnTour.com and get tickets for performances through August 1st at http://www.DenverCenter.org. Aaron Harber hosts “The Aaron Harber Show” seen on Channel 3 KCDO-TV (K3 Colorado) on Sundays at 8:00 pm and at http://www.HarberTV.com. He also hosts “Colorado Election 2010 (TM)” seen Sundays at 8:30 pm on Channel 3 and on Mondays at 8:00 pm on COMCAST Entertainment Television and is viewable 24/7 at http://www.Colorado2010.com. Send e-mail to Aaron@HarberTV.com. (C) Copyright 2010 by USA Talk Network, Inc. and Aaron Harber All rights reserved.